Take road B 535, direction Heidelberg. After approximately 2 km turn right, direction Boxberg / Emmertsgrund. Stay on this road for about 3,5 km, driving up the hill. After the ARAL petrol station, turn left and left again. You'll see the Hotel ISG in front of you. Follow the signs to Heidelberg. You will be directed onto the road B 3. After about 10 km turn right, direction Boxberg / Emmertsgrund. Stay on this road for about 3,5 km, driving up the hill. After the ARAL petrol station, turn left and left again. You'll see the Hotel ISG in front of you. 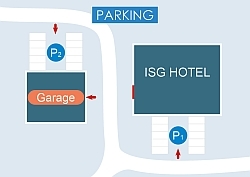 Hotel ISG is easy to reach from Heidelberg main station and from the city centre via direct bus connections. 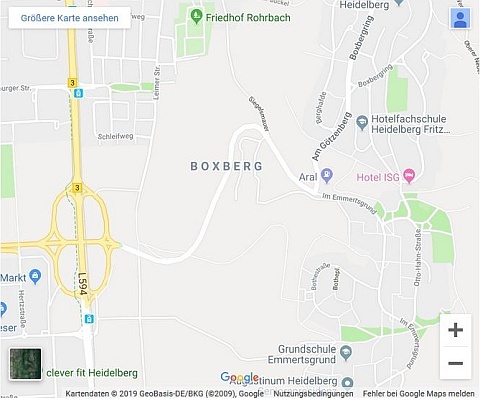 The bus stop in front of the Hotel is called 'Boxberg-Buchwaldweg'. Connection with one change from Heidelberg main station via tram 24 up to stop 'Rohrbach Süd', there change to bus 29 or 33. Please note: The Heidelberg public transport association, VRN, does not sell tickets in trams - tickets must be purchased and validated before travel; tickets are available on buses. 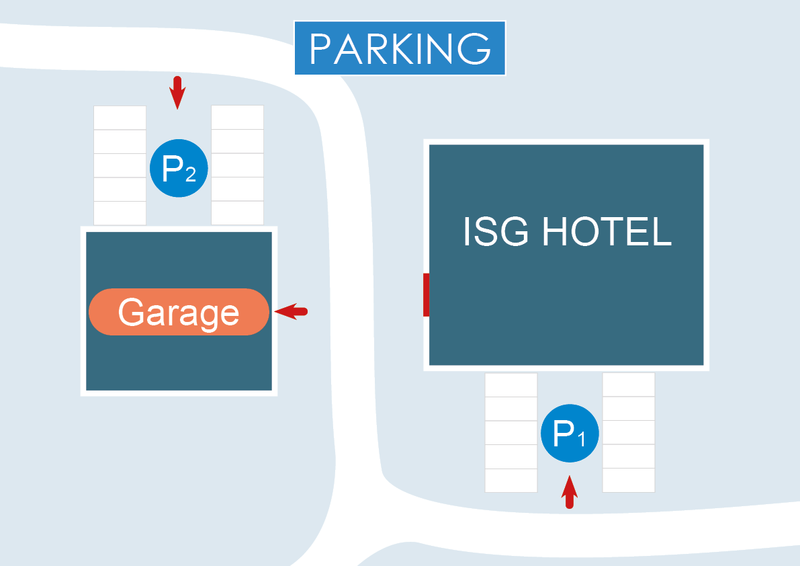 Two parking areas are available free of charge, underground parking is available against extra charge.